Seven years of fighting between government forces and Boko Haram in northern Nigeria have forced 2.5 million people to flee their homes. Malnutrition rates are on the rise, and across the Lake Chad region, over four million people don’t have enough to eat. 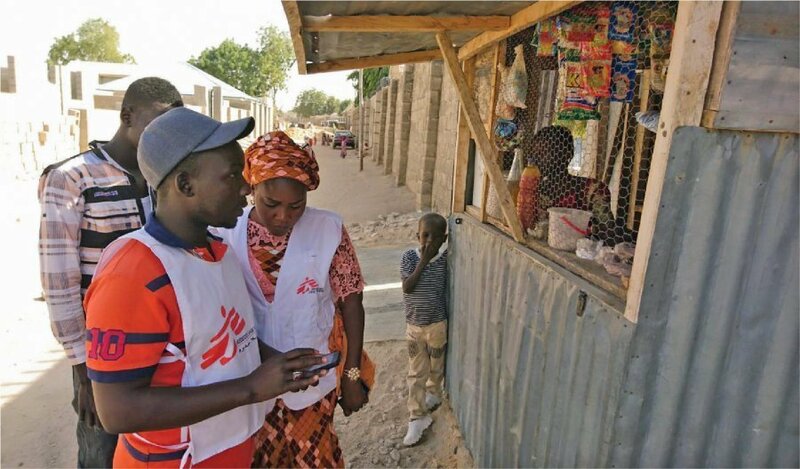 Mapping specialist Sarah St Arnaud describes how MSF is using mapping technology to get on top of the crisis. ‘In December I headed out to Maiduguri, the capital city in Borno State, northeast Nigeria. I was there to set up a surveillance project using GIS (geographic information systems) technology, in order to monitor the alarming rates of malnutrition. 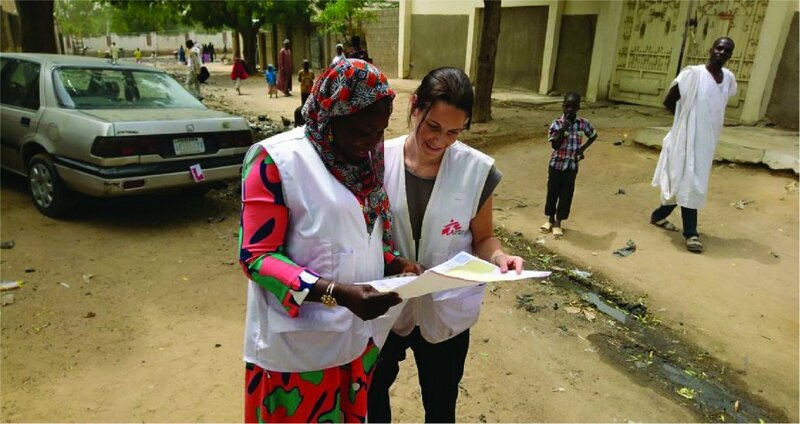 I’m a geographer and cartographer by trade and am currently working as MSF’s GIS specialist. This means I’m often sent out in an emergency to map areas and to help discover where the most vulnerable are. I started working with MSF during the 2014 Ebola epidemic where we were able to map the outbreak’s evolution using this technology. Malnutrition rates here in northeast Nigeria are already high, but we know the situation will only get worse as we approach the ‘hunger gap’ – the season between harvests when food becomes scarce. The conflict in the region between Boko Haram and the Nigerian Government has only exacerbated the crisis. So, how do we find these people? By going door to door and screening each household for malnutrition. It’s a huge undertaking. We have 25 teams made up of two locally hired surveyors – one man and one woman. Every day, each team heads out to a different district of the city equipped with a smartphone, hospital referral forms, and MUAC (mid-upper arm circumference) bands which measure rates of malnutrition in children. "The teams are doing amazing work. 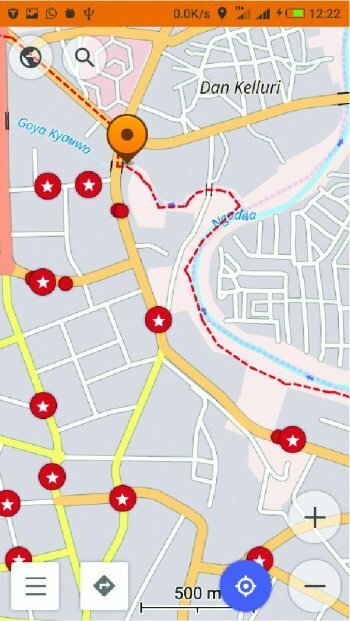 They managedto screen around 1,100 households every day"
We use GIS mapping technology on the smartphones to monitor pockets of malnutrition and the areas where people are most vulnerable. The smartphone contains a digital assessment form and questionnaire, which was developed alongside a doctor. Every night we can pull up the data in the form of a map and see where we need to distribute food. Food distribution is not something MSF usually does, but the crisis is so bad that we’ve scaled up our response significantly. We also screen kids at schools and keep an eye on the price and availability of food at the markets. When people are not living in obvious refugee areas, it makes it much harder to find them and treat them. It’s amazing to see how resourceful people are. I remember one community I met who had rebuilt their village in the middle of the city, using grass and mud. They had arrived only four days previously, with just the clothes on their backs. They had decided not to separate from each other and go into the camps. So they talked to the traditional leaders and they took a vacant space and rebuilt their grass and mud huts altogether. It was beautiful to see. The teams are doing amazing work. They managed to screen around 1,100 households every day. At the end of my two months in the country, we had visited 34,790 households and screened 73,746 children for malnutrition.